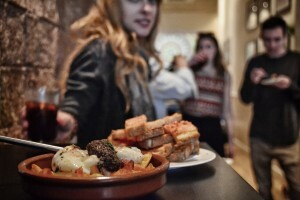 Welcome amigos to Tapas & Beers, the travel company that gives you the chance to taste the real Barcelona. Food and drink is such an essential part of how we travel, and so, inspired by the tapas innovations, craft beer revolution and the abundance of hip cafes, restaurants and bars in the city, we created four alternative tours to share the best of Barcelona’s unique gastronomy and nightlife. Sign up for our tapas tour and track down some of the most exquisite delicacies in the city, in the company of our passionate foodie guide. Take a brewery and craft ale tour with a Catalan brewer for an amazing insight into the regional beer scene. Or experience the edgier side of Barcelona’s nocturnal scene, with a Hipster bar crawl of the Raval district. Dedicated gourmets interested in the evolution of Catalan gastronomy meanwhile should sign up for our new lunchtime food and market tour. Step off the tourist treadmill and into Barcelona’s most-loved district – Gracia. In this traditional Catalan barrio we’ll do like the locals do and crawl from bar to bar sampling the best dishes each has to offer, from tried’n’tested classics (like bombas, bravas and boquerones) to more modern takes on tapas. You’ll also get to sample vermouth in a bodega from the 1950s! More info here. Treat your tonsils to the very best of Barcelona’s artisan ales during this three hour exploration of Catalonia’s finest brews. 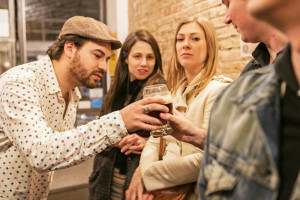 With a craft beer connoisseur as your guide, you’ll take a tour of a start-up microbrewery before enjoying a tapas and beers pairing session in two more hop-loving venues. A totally unique experience in the city. Read on for more info and bookings. Spend a night with the cool cats of Barcelona, as we take you on whirlwind nightlife tour of some of the most hip, fun and happening bars in the Catalan capital. We’ll introduce you to the local drinks, like mojitos, craft beers and even absinth, and finish the night dancing into the early hours. 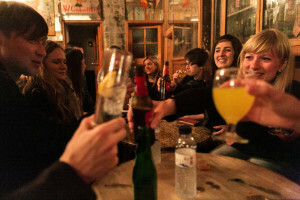 Think of this as our sophisticated alternative to a lager lout’s pub crawl! More info here. Take lunch in fine style with Tapas & Beers, when you join us for a walking food tour of the wonderful Sant Antoni barrio. Starting with delicious ham and cheeses at the bustling district market, we then stop off at a number of bodegas and tapas bars for both classic and modern Catalan cuisine. The tour ends with a refreshing glass of orxata, served with pastries. More info. Checked out all of our food and beer activities above? Which did you like? Maybe you still have some questions? For more information we suggest you visit the about us page, or if you’re not yet convinced that you want to hang out with us (of course you do!) how about checking the testimonials page of previous travellers? Of course you could simply drop us an email, and we’ll get back to you as soon as we can. If you’re already decided and want to reserve your place (we have limited spaces on each tour) then head to our online reservations page (hint: you can also make an online reservation on the individual activity pages). 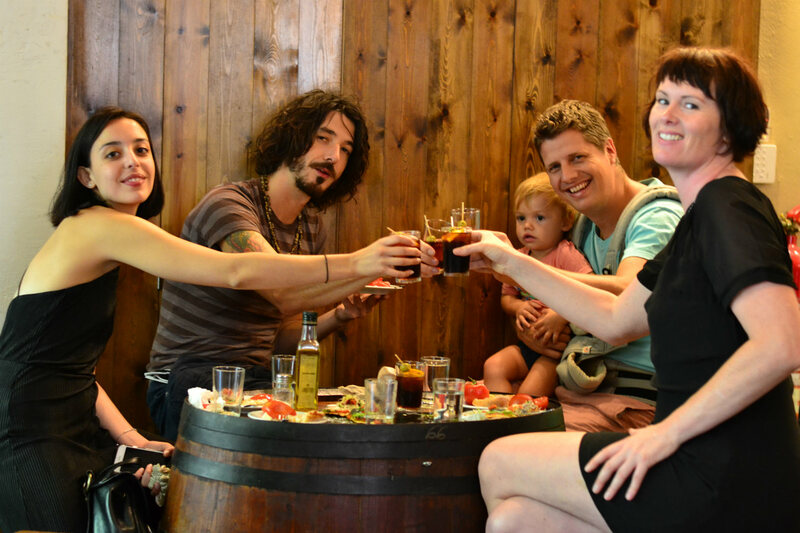 We hope to share the real tastes of Barcelona with you soon!